With the RockCoco chandelier, Fatboy brings the 18th century into the new millennium. The design of the chandelier is based on the tortuous and playful forms of the historical Rococo style. This makes the chandelier the ultimate coronation for your very personal Versailles. In the Rococo era, rooms were created like works of art. 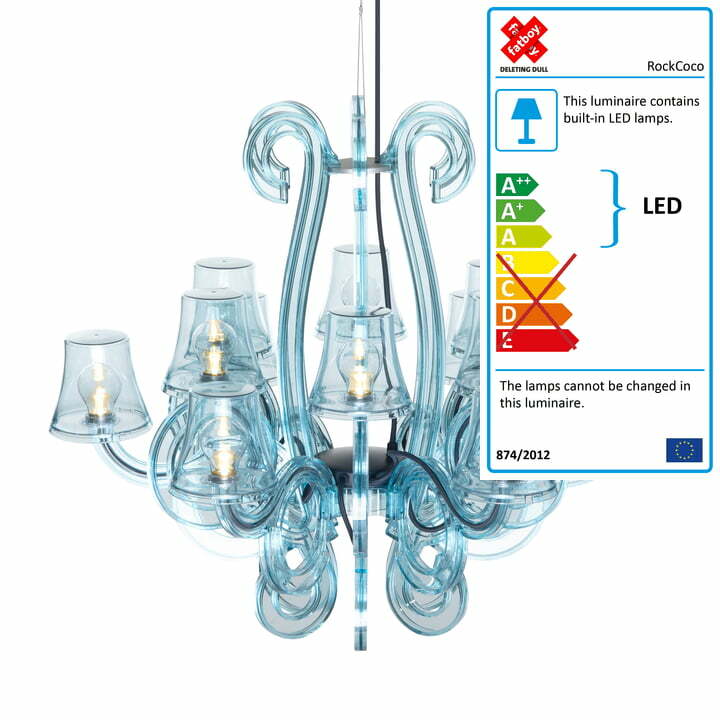 The RockCoco chandelier was designed by the talented Dutch DeMakersVan in the same way. The playful and extravagant design is complemented by modern materials and up-to-date transparency. RockCoco skillfully combines historic splendor with modern elegance and clarity. The graceful and transparent Fatboy Chandelier RockCoco with its striking, always visible red wiring is not only optically exceptional, but also practically: due to its robust materials, the RockCoco can easily be used outdoors, because Fatboy's chandelier is weather-resistant. The chandelier can also be hung from a tree or to transform the terrace into an airy ballroom. The contemporary features aren’t lacking either: the RockCoco’s remote control dims light to a level that suits any mood (three phases) without even having to get up. And this with energy-saving and environmentally-friendly LED technology.